On February 27, 2010, my sister, Karan; brother, Rick; niece Caitlin and I met at the Hammond House B&B in Calvert, Texas. We met there with the intention of trying to determine if the house might be haunted. We were fortunate that night to be the only ones staying at the B&B, so we had the house to ourselves. 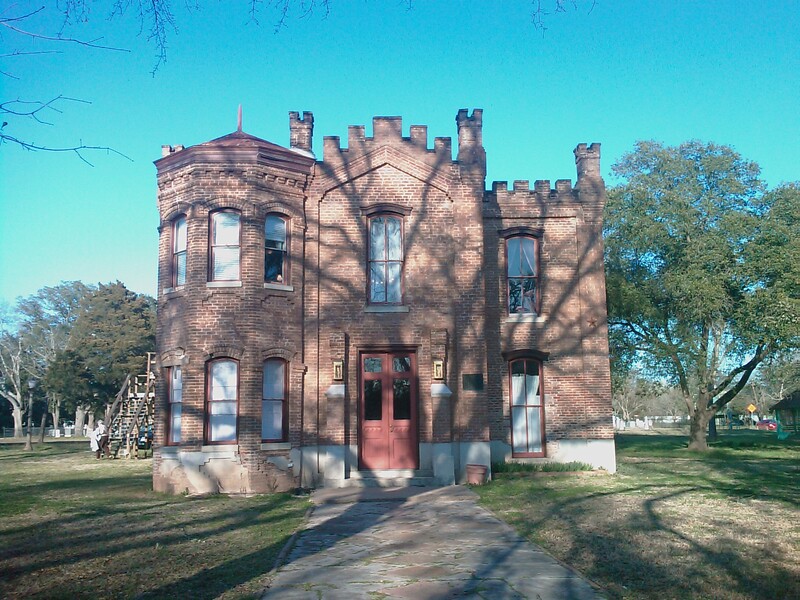 The house was originally intended to be the Robertson County courthouse, the county in which Calvert is found, but a yellow fever epidemic wiped out so much of the population of the town that the county seat was moved to Franklin, Texas. We were told that the house once served as an asylum for women. The building was started in 1875. Most of its existence it served as a private residence and was used as a museum starting in 1966. When the current owners purchased it, the building was in fairly bad shape. The owners remodeled the building into the Hammond House B&B, named after the Hammond family who lived in the building from 1909 until 1966. One story the lady who checked us into the B&B told us was about a woman with long, white hair. She had been seen several times by workmen working on the renovation an night. It was usually a lone workman working at night. The woman would talk to the workman for a while. Later, when the workman would mention talking to the woman to the owners, they would tell him that there is not woman like they describe living in the building or in a nearby house. This woman should not be in the house. It is thought that she may have been one of the residents of the asylum. After we settled into our rooms, we drove to the east end of Calvert and explored a Jewish cemetery. There was one tomb outside the cemetery area as well as a few graves. The tomb had been broken into and we found a notice that the bodies in the tomb had been moved after it had been broken into. Rick, Caitlin or Karan, I do not remember which one, looked into a window that had been opened up and saw a buzzard on the floor, staring up at them. Very strange. We wondered why they tomb and graves were separated from the cemetery, and when I reviewed the pictures I had taken of the tomb, I found that there was a cross over the door. They Jews who had been buried in the tomb had become Christians. That may be the same with the graves. They were outside the cemetery because, as converts to Christ, they were not allowed to be buried in the cemetery. There was a large cemetery next to the Hammond House. After dark, we walked through the cemetery doing an EVP session. Both Caitlin and I had recorders. When we reviewed the recordings, we did not find any EVPs on them. When we went back to the house, we decided to hold an EVP session in the parlor. Both Caitlin and I were using our recorders. Since we had been told about the woman with the long, white hair, we addressed our questions to her. We asked her to make herself known and asked other questions. Now, the seating we were using in the parlor was placed around a low table, usually called a coffee table. Karan was drinking a diet Coke in a can, which was sitting on the table. We asked the woman to move the can. Karan told her that she did not want her to drink her diet Coke. She did not want any “ghost lips” on her can. We started joking around about that. One of us suggested that maybe the woman had spit into the can. One of us suggested that maybe she peed in the can. Karan said, “ooo, sick, I’m still drinking it”, after which she took a drink of the diet Coke, Just after she took a drink, a female voice said, “pee no”. There was a few seconds of complete silence, after which Karan said, “I wish she (the lady who checked us in) had left us some cake or something”. We did not hear the voice until I played my recording back a short time later to see if we had captured anything. Caitlin checked hers and she had captured it also. Now knowing that a woman was there, we continued asking questions. She always said, “no” to each question. One time I actually heard her say no right into my ear. I immediately stopped my recording and listened to it, finding that she did say, “no” just before I said, “I heard something”. One other thing I noticed was that each time Karan drank from her diet Coke, I could hear the faint “pee no” on my recording. We do not know if she was denying peeing in the can or was in shock that Karan was drinking from a can with pee in it. I do need to point out that Caitlin’s recorder captured the same EVP’s that mine captured, which helps validate our recordings. We eventually ended our EVP session and went to bed. The next morning we checked out and went our separate ways back to our homes. I have to say that this EVP saying, “pee no” as the most amusing I have ever captured, especially since she said it every time that Karan drank from the can. I have included two audio clips in this post. One is the portion of the conversation we were having before and after the first “pee no” EVP. The second one is just the woman saying “pee no”, amplified to make it a little easier to hear. I am also posting two pictures. One is of the exterior of the Hammond House and the second is of the parlor. 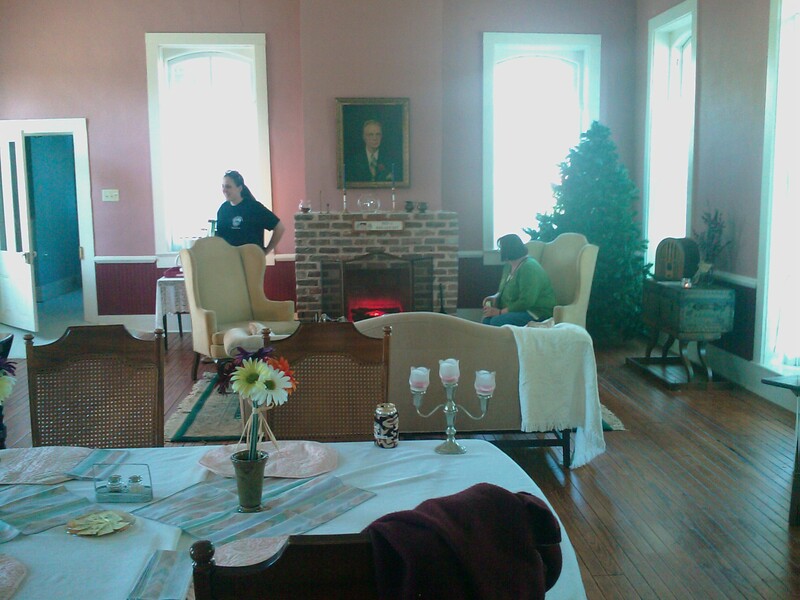 Caitlin and Karan are in the picture and the chairs and sofa you see are the ones we used for the EVP session. Karan is sitting in one of the chairs. Excellent Ken…wish we could have been with you!! !